While exploring the facets of the northeastern literary paradigm, what we inherently seek to discover is the plurality of the languages it unravels and the great heterogeneity in the culture it brings to light. Although, to many, northeastern literature may stand out as a separate limb to the entire body of Indian literature, the term ‘northeastern literature’ is a complete misnomer. For there is immense diversity within the northeast and lumping it together or generalising it is a great geopolitical and cultural fallacy. Talking of the earlier works of fiction by northeastern writers, it is seen that most of them have been derived from the great oral tradition of storytelling, which now can be interpreted as the literature and orature dichotomy. The birth of folk tales, folk epics, songs and proverbs has played a fundamental role in shaping the distinct nature of memory and references visible in the present day narrative. And thus, writing about them is essential to prevent their dwindling away into the oblivion. 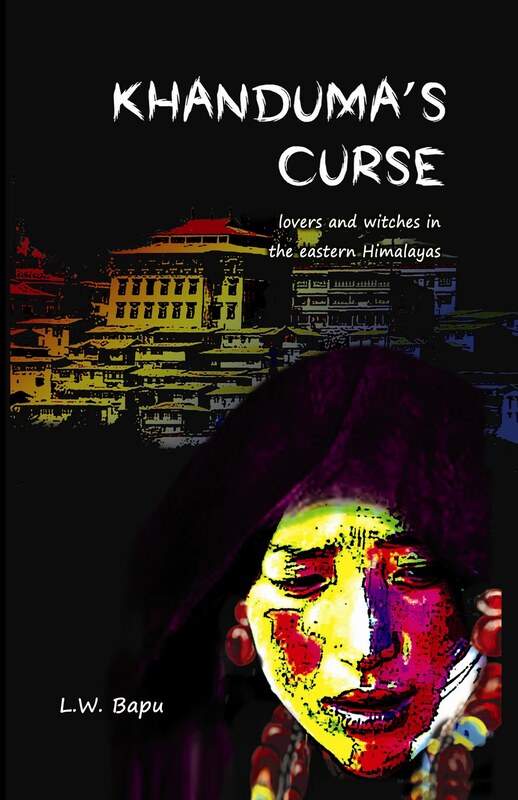 Amidst the many English writers exploring such folklores from the region L. W. Bapu from Arunachal Pradesh has emerged as one of the new voice with his debut novel Khanduma’s Curse: Lovers and Witches in the Eastern Himalayas . 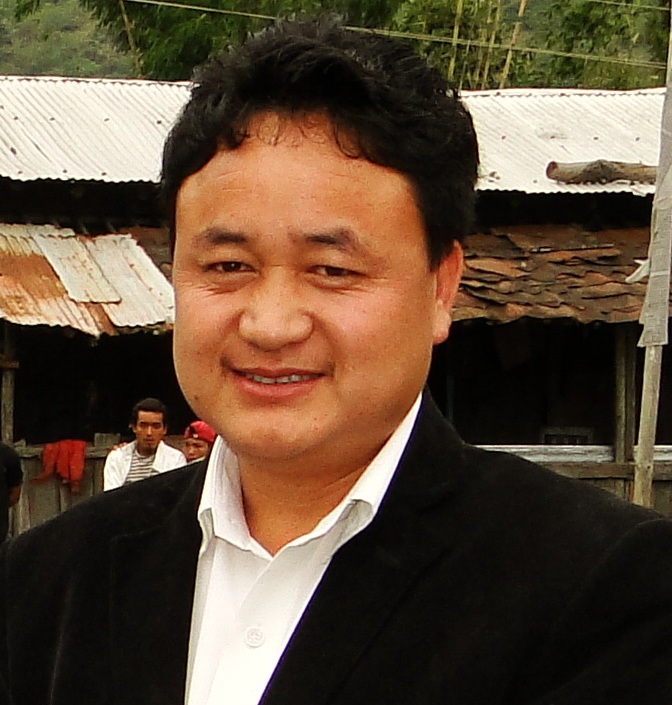 In his debut book, Bapu has primarily focused on the myths surrounding the lifestyle traits and traditions of the Monpa people in Arunachal Pradesh. Drawing allusions from Buddhism and the various folktales from the region, Khanduma’s Curse is an attempt to string together two different time periods: the ancient and the present. It follows the life of Passang, the young and attractive village girl, and Yontan, a medical student in their journey to find love in each other and surviving against the forces of the Anima, a Khanduma- a powerful witch . Bapu has successfully redefined the geo-ethnic setting by talking about the Resa, the people inhabiting with their many known and unknown customs and the many stories of black magic, witchcraft and sorcery surrounding them. He also talks about the religions and practices prevalent in the region, the Rinpoche and the universal philosophy of good triumphing over evil, drawing a spiritual ending. The narrative is far from being prosaic and the dialogues are gripping. Mostly the writer talks of the mundane and the regular in a way that is quite lyrical to the core. This is effective in maintaining the element of mystery and enigma that he tries to project throughout the book, with witchcraft and sorcery reining the domain of the climax. However, it does hitch a ride at places with the narrative appearing contrite in areas like Passang’s desperation over Yontan’s departure or Yontan’s encounter with Anima in her black tomb. What more can you expect from a man, crestfallen? Whose life’s like a cruel joke lay brazen. Comparing the book to other writers from the region would be unjust, for pure contextual differences. 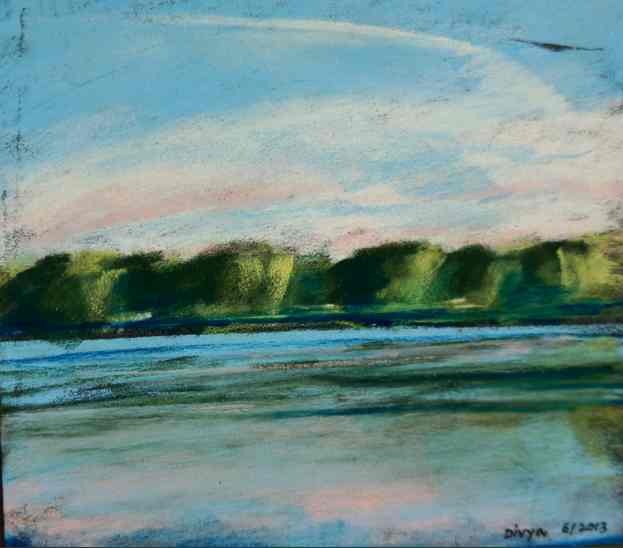 While Mamang Dai and Yese Dorjee Thongchi influences are almost palpable in the description of the landscape and the natural excursion of Arunachal, the content of the story is different from any of their fiction written earlier. That way, Bapu has maintained his literary identity in the larger framework of Northeast literature and at the same time mutually reinforcing the old and the other emerging works from the state. So, as a debut work of fiction, Khanduma’s Curse is a promising high ride about the heights of young love to the depths of spirituality and wisdom, finding its own voice among many others. 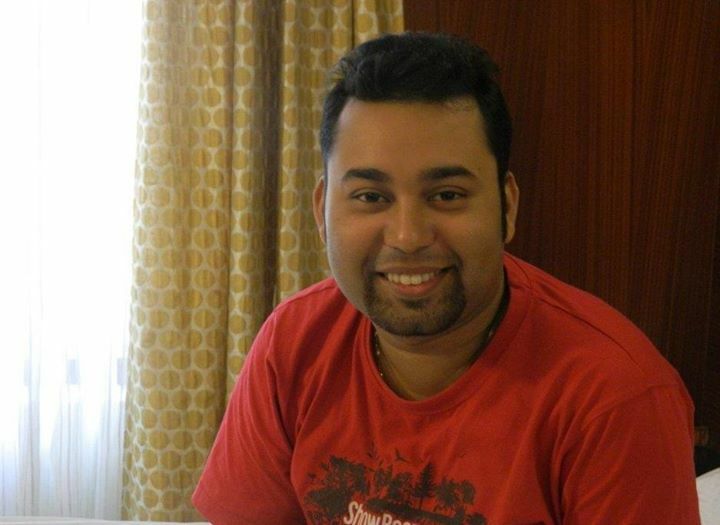 Gaurav Deka is a writer from Assam, India. His fictions, poems and essays have been published in Muse India, Indian Ruminations, NElit Review, Fearless [poetry zine], Seven Sisters Post, Eclectic Times and The Sentinel, among others. There were very few to whom the rain-maiden showed herself. The fortunate ones who saw her were haunted by visions of infinite loveliness, diamond raindrops in a shower of sunlight, furiously falling rain leaving maiden shapes behind. She was deeply loved by the bear-man. The father of the bear-man was a man who had gone hunting and been turned into a bear. He returned to ravage people’s maize fields and was shot dead by his clansmen. The bear-man was part man, part bear, not a man in a bear’s body as his father had been. So there was a part of him that understood the world of men well. And the other part of him was fully bear. He thought nothing of chasing humans away if they were intruding on his hunting grounds. He never minded the hundreds of bees running after him and stinging him as he ran from them with his paws and whiskers smeared with liquid honey. The bear-man could be gentle with those who were gentle but he knew how to defend himself against those who were aggressive. One morning he was crawling down to the stream when he saw someone had arrived before him. It annoyed him a bit. The other animals acknowledged that this part of the stream belonged to the bear-man and they took care to bathe below or way above his portion. 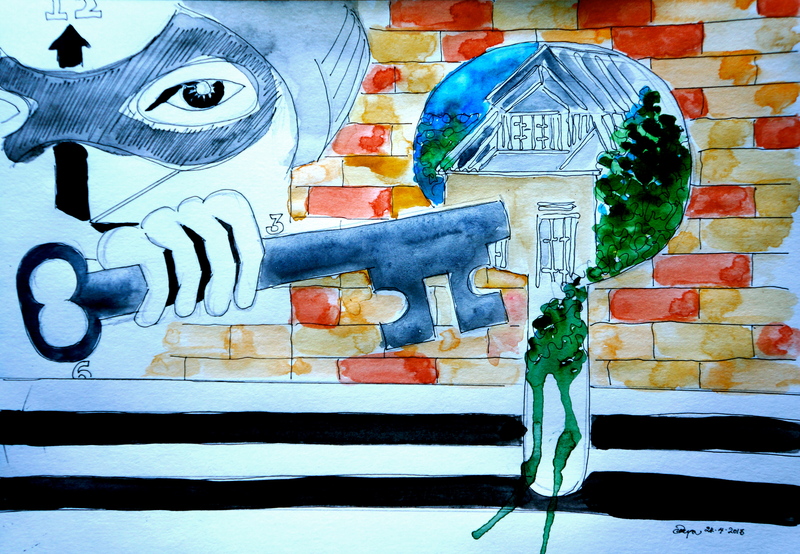 He had never had an intruder before and so he paused momentarily, wondering how to deal with the stranger. As he stood waiting, the figure at the water-hole turned around and let out a little gasp at sighting him. She was amazingly slender. The bear-man’s irritation evaporated and admiration took its place. The maiden had long hair that reached to her waist. When she moved, the bear-man thought perhaps she had washed her hair in his stream water because it looked wet and incredibly silky. But when he looked again, he saw that her hair was made of rain! She moved with light grace and came close enough to him so he could hear her voice above the rushing of the stream water. “I’m sorry if I have kept you waiting, bear-man,” she said. The rain-maiden looked hurt and the bear-man felt sorry inside but he’d already said too much and he feared she might retaliate and say cruel things to him if he said he was sorry. So he thrust out his chest and stood taller than his eight-foot frame and roared, “Do you hear?” so loudly the leaves on the trees shook and some fell to the ground. The rain-maiden did not linger after that show of great unfriendliness. She ran out as fast as her nimble feet could carry her. The bear-man thought he heard a huge sob as she went past him. The path she ran down was scattered with tears as big as raindrops. “Could I have made a mistake?” wondered the bear-man to himself. But it was too late by then. With the rain-maiden gone, the bear-man felt unbelievably empty. He went over all that he had said and done and tried to convince himself that he’d done the right thing. So the bear-man struggled with his true self and the public image he had built up over the years for his self protection. And the tension grew and grew. The bear-man could not sleep. Things changed for hm. Honey now left a bitter aftertaste in his mouth and he began to lose weight. One morning he would wake up and shout “I’m not kind, I’m the meanest bear in these parts.” The next morning, he would whimper to himself, “But I am kind. I like being kind.” So this went on as he struggled to resurrect the real self he had hidden beneath for so many years. In the meantime, the rain-maiden had run away to another part of the forest and when she had wept a day and two days more and a half-day, she rose and left the forest where the bear-man lived. 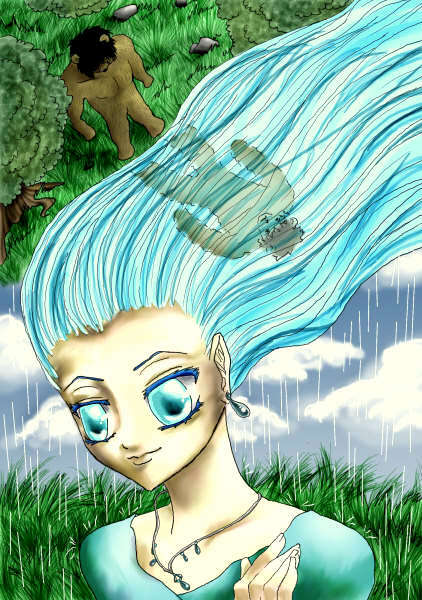 The rain-maiden never returned. When raintime came round, the bear-man sat in his tree stump and waited. But he did not see the rain-maiden again. Sometimes his heart leapt inside him when he saw rain fall so fast and furiously it looked like her hair plastered against a tree. But when it cleared, all that he saw was a rain-drenched tree. Even now, he lives on in that forest, does the bear-man, afraid to step out of his bear-skin and become his true self. And every raintime he looks for the rain-maiden. 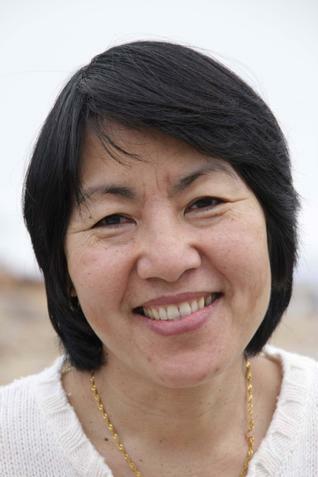 Easterine Kire's first novel, A Naga Village Remembered, was the first-ever Naga novel in English to be published. Her latest book is Bitter Wormwood, a novel on the Indo-Naga conflict, which was shortlisted for the Hindu Fiction Prize 2012. Easterine is founder and partner in a publishing house, Barkweaver, which gathers and publishes Naga folktales. She lives in Norway and performs poetry with her band, Jazzpoetry. The digital release of their jazz poetry concert recently topped the jazz chart in Norway. I was very young at that time, but I don’t remember exactly how old I was. However, I clearly remember accompanying my grandmother on her trips to the naamghor. She would walk regally and I would, sometimes walk by her side, sometimes skip ahead of her. Whenever we came across any neighbours on the road, I remember them asking the same question, “Grandma and little grand daughter walking together, yes?” Then they would pinch my cheeks and some would even kiss me soundly on my cheek. I dreaded their mushy kisses as their mouths stunk of betel leaves and nuts. I would wipe clean my cheeks with the back of my hand as soon as they kissed, and they seemed to enjoy this act of mine very much. I suspected that they kissed me just to annoy me and have fun at my expense. I would sit quietly in the naamghor while the bhokot sang out from the Kirtton. His voice resounded in the small prayer hall with the sound of cymbals and the clapping of the women. Taking advantage of the loud clapping sound and the clanging of cymbals, some women would simply gossip away about their neighbour’s daughter-in-law who went to work while the mother-in-law did all the household work, about children who would steal into their neighbour’s gardens and climb trees to pluck guavas, about elderly Bengali women who would steal flowers blooming in other people’s garden to offer those in their puja, about whose pickles were the tastier of all, and what not. They would chat and at the same time clap their hands to keep the taal of the hymns. Often they would miss the right place of claps and ‘thap’ – their clap would fall at the wrong moment when the rest of the women’s palms were still suspended in the air. Grandma would sometimes join in the gossip, but she never missed her claps’ timing. I would sometimes watch her palms as they came together in a loud clap, watching carefully if she clapped at the wrong moment, but she never once slipped. “The owl-faced one is keen” clap “on Rambha’s daughter, she often” Clap “calls her to her house on the pretext of chatting,” clap “but I can tell that she wants to make her” clap “her daughter-in-law…Ramoko naam oti anupom Ramoko naam Ramoko naam… ” with claps she would join in the hymn, and then after a clap, “Just imagine, that beautiful Menaka for that Ghatotkoch!” Clap! That struck me solid, for Mili, Jonky and I were competitors for grandma’s love. If she made a sweater for Jonky he would walk about with a smug smile on his face. If I had a sweater from grandma I would make it a point to wear it whenever my cousins came to our house. I did not like the way grandma gave away the bottles of mango and lime pickles to my cousins. After all, I helped grandma take out the bottles for sunning; Jonky and Mili never came to help her. Though whenever they came to stay with us, I enjoyed our playing sessions, I hated the evenings when they would kneel on the bedside and sing out two prayers from the Naamghosa. I knew “Our Father in heaven” but nothing from Naamghosa. So, I did not like to see grandma patting them and praising them for knowing their prayers from our holy book. I tried to learn the prayer, in fact I was soon able to learn and sing it well. But I did not sing with them, for I did not want them to tease me that I had copied them. I had my own way of getting even with them. Whenever, on rare occasions of course, they went to the naamghor with us, I would join in the gossip of the women by simply smiling and nodding, showing that I knew every bit of what they were talking about while my cousins were left sitting quietly, uneasy with the people they were not familiar with. I knew each of the women who went to the naamghor. Owl-faced grandma might look as dark and round-eyed as an owl, but I enjoyed the way she talked. Her eyes would go rounder, her hands would flap like the wings of a bird and she would make all kinds of facial expression. “Menoka is a lovely girl” her hand would fly out “and her embroidery works” her eyes would go rounder “lovely as her hands”. She would turn her head trying to judge the thoughts of others from their faces, as if she knew that they talked about her fondness for Menoka. I too used to call Biren Hazarika Doctor Dada as everyone did. His wife, Majani-aaita would come with stories of how her husband treated patients. Once Niku-aaita complained of heart pain and the neighbourhood’s favourite Doctor-aaita was called to examine her. Like Mithu aunty Niku-aaita would always complain of one health problem or the other. They are two of the same kind. So women in the naamghor referred to them as ‘Senior Aah-uuh’ and ‘Junior Aah-uuh’. Now when Doctor Dada was examining Senior Aah-uuh with his stethoscope, he found a big lump above her breast and saying, “What’s this?” he took out a bunch of keys. “This is so heavy. No wonder your heart pains under its pressure. Why don’t you give away your keys to your three daughters-in-law? Let them manage the house now. With this bunch on your heart it will be a never-ending ache.” The women in the Naamghar talked again and again about this incident, though everybody was present when Doctor dada’s wife had narrated it. They found it such a juicy bit of a story that whenever one brought it up they would all laugh again like some new joke they had just heard. Actually Senior Aah-uuh was a very possessive and strict woman. She did not let any of her daughters-in-law cook. They were allowed to cut vegetables or wash the rice and dal grains. But they were not allowed to cook even the rice. The kitchen was her domain and she was the reigning queen of her home. “My sons cannot eat anyone else’s cooking. They are so used to my cooking.” She would boast before anyone who came to her house and she made it clear to everybody – insiders as well as outsiders – “It is my house.” But I liked visiting her. She would make all kinds of snacks for Grandma and me. In fact, I would wait eagerly for our next visit to eat her besan-fried palak, kheer cakes, alu chops or luchi with that special curry of hers. Then there was Pramila-aaita who was not very popular, as they all considered her very proud. While everyone wore mekhela-sador, she was the only one at that time wearing a sari. They sarcastically considered her very stylish for going against traditional customs. Her husband was always suited-booted like a sahab and I found the pair quite attractive. When once or twice I saw Pramila-aaita I found her so different from the rest of the lot that I would stare at her. She talked differently and on different topics too. The others found it very uncomfortable when she came to the naamghor. I could feel it. But it was just two or three times that she came to the naamghor. Perhaps she too realized that they were a different lot altogether, interested only in other people’s life. But her world was a different one – a world of books. When I visited her house once with my mother I found her sitting in a room with cupboards full of books and then when she sat with the sitar in her hands she looked like Goddess Saraswati. I was amazed at the way she played the sitar – musical notes resounding the house. It was my mother who had seen the sitar on the divan and had asked her to play something and with a smile Pramila-aaita had complied to her request. A talented woman. She looked so exquisite to me. Why should a goddess go to a namghor and sit with mere humans, and those too fault-seeking faulty humans? I argued with Grandma when she said that at her age Pramila-aaita should spend her time praying. Grandma showed her displeasure at my argument by not knitting the sweater she had started for me for a whole week. During one of my visits to India, I showed my two teen-aged children the naamghor. “It’s a lovely place,” they commented. But to me the place no longer looked ‘lovely’. A concrete structure with figures of different gods and goddesses had come up with all kinds of bright colours. Gone was the simple Assam-type structure with its small wooden gate; gone were the people who were the soul of the naamghor, gone was the bhokot who used to distribute prasad that the women took back home wrapped in gamosas. The Naamghar today looked alien to me in an alien neighbourhood where tall apartments housed families who were total strangers to me and also to each other. Nobody talked about the people of the neighbourhood for each family was an island. My house, at the end of the busy lane full of traffic and full of strange footsteps, stood quietly with garlanded photographs adorning the silent walls. Srutimala Duara is a bi-lingual writer. She has written four collections of short stories, three novels and a poetry collection in English. In Assamese she has a collection of stories, four books for children and a novel. She is an Associate Professor in English, Handique Girls’ College, Guwahati.